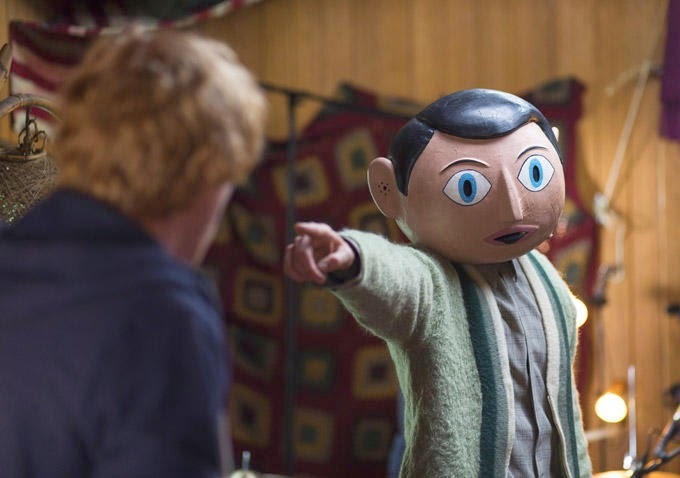 The British Independent Film Awards announced this morning that Frank has received four BIFA nominations for Michael Fassbender in Best Supporting Actor, Maggie Gyllenhaal in Best Supporting Actress, Lenny Abrahamson as Best Director, and Stephen Rennicks for Music! I knew that either BIFA or the Golden Globes would pay attention to Frank, so this is a great acknowledgment from BIFA. Congratulations to Michael and his fellow nominees on the brilliant work on Frank! Good luck! Read the BIFA press release. Congrats to Michael! Frank was a great movie. Congrats to all involved. Always fantastic when a quality film like Frank, so easy to miss out because of its small size and outlier appeal, gets attention like this. :-) Well-deserved noms all round! You forgot one, though. Frank got five noms! Jon Ronson and Peter Straughan are up for Best Screenplay.